So I'm quite pleased to introduce you to Rick Higginson, otherwise known as Hoomi to many of us. 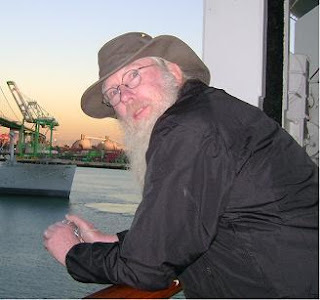 Rick Higginson describes himself as a Christian Sci-Fi writer who is also an incurable romantic. He was raised in a Bible-teaching Baptist church, and attended some contemporary non-denominational churches as an adult before winding up in a Messianic Congregation. He has enjoyed writing fiction since a young age, and hopes his stories inspire readers to think about issues in different ways. He has been happily married to Nancy since 1980, and together they raised a daughter and a son. The Higginsons currently live in Tucson, Arizona, with several dogs, a couple of cats, a bird, and whatever other creatures might have taken residence since this writing. Rick works as an electronic technician for a major corporation, and enjoys writing, playing flute, geocaching, scuba diving, and most of all, spending time with Nancy. You can keep up with Rick on his website and blog. Joshua Cardan is the kind of man many women would consider a great catch. He's young, decent looking, a nice guy, and not incidentally, rather wealthy. Cynthia Cardan certainly considered him a great catch when she married him a year ago. Too bad Josh doesn't know Cynthia has planned all along to throw him back. Too bad Cynthia doesn't know who will be there to rescue him when she does. 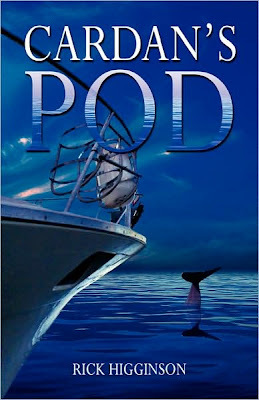 Then again, no one knew the Pod was there to begin with, and the Pod has been waiting for someone for a long time. The longing in the woman’s voice was palpable, and he swallowed against the lump that tried to form in his throat. “You are human, Marta,” Josh said. Everything Josh had read in Marcel’s diary and notes had led him to the conclusion the doctor was a benevolent, if somewhat eccentric, genius. As he considered Marta’s last question, though, he suddenly understood the very real and very wrong side of all the doctor had done. At no time had he read that the doctor ever considered how his work would be received by the direct subjects of it. Even when the oldest of his mermaids had reached the age where they could have voiced their opinions, Marcel had never recorded having discussed with them how they felt about the changes he’d made in their biology. As much as he had learned to love his creations, it had never occurred to him they would not share the same enthusiasm for his success. She sighed, and he remained quiet. He didn’t have any answers for her. The few formals Josh had attended had never been much to boast about. The dancing had been more of a nerve-wracking experience for him, especially at the Country Club Cotillion his parents had forced him to attend when he was a teenager. All the young debutantes had come from the “right families,” and he had been expected to dance with quite a few of them. By the end of the evening, not one girl had wanted a repeat spin with him, nor had he wanted a second dance with any of them. “Let me think,” he said, more as a stalling tactic in the hope she would change the subject before he had to answer. Yet, as he thought, it brought to mind the anniversary party where he and Diego had played the Irish tunes, and how Diego’s grandparents had encouraged them to keep going. Despite age having slowed them down, the old couple had gotten up and danced. As Diego and he had continued to play, Josh had found himself caught up in the music. They had taken positions on opposite sides of the couple, and literally danced around them as they played. It had been the first time in his life he had not only performed the music, he had felt it. Finding her hand, he drew her out to the deeper water, even as doubts plagued his mind. He took a position facing her and slipped one hand around her waist. He guided her hand to a similar position on him and placed his other hand on her shoulder. He could hear the Minuet in G in his mind and began counting the beat to himself, just as if he were about to play it on the clarinet. Closing his eyes, he began swaying in the water. “Doo, doot-doot-doot-doot-doot, doot-doot-doo,” he sang, trying to accomplish with his voice what he would have done with an instrument. His singing voice wasn’t great, but the acoustics in the cavern aided him greatly. The first phrase repeated, and he put more into it the second time through. Marta moved more freely, swaying with him as they slowly turned in the water. He didn’t notice when it happened, but she had drawn closer to him and their heads were next to each other in more of an embrace. He could also hear her voice, harmonizing wonderfully to the tune. The last time Josh had danced was with Cynthia at their wedding reception, but it had been like dancing with a mannequin. Cynthia’s every step had been precisely placed, every move meticulously executed, and everything down to her facial expression finely choreographed. Cynthia performed for him; Marta danced with him. The counterfeit had seemed so real until he experienced the genuine article. They held each other and moved in time. Marta’s hair smelled of the ocean, and her tail frequently brushed his legs, but in the darkness it was a woman’s voice that harmonized by his ear. His unkempt whiskers rubbed her face as he finished the song. You can purchase Cardan's Pod from Amazon and Barnes and Noble. Come back tomorrow for an interview with Rick! I am VVERRYY anxious to read the interview too. He is such an amazing writer, and a genuinely nice guy. And, of course, I REALLY want the book! Yes, Hoomi is a great writer. I love the world he has created. I'd love to win one of his books. Wow! Thanks for putting the spotlight on Rick/Hoomi, and adding the excerpt from Cardan's Pod. The book sounds great and, although I'm not sure I can enter the competition from Australia, I might have to look up the book and see if I can buy it online.